After months of preparation and endless trepidation on how it might go, the second edition of Publishing Next concluded last Saturday. Judging from the numbers that attended and the satisfied voices that emerged, dare we say that it was quite the success. The objective of Publishing Next was to create a forum that would discuss topics related to the “future of publishing” – not just technologies that impacted publishing but also trends in consumer preferences and publisher practices, changes in the environment that necessitated certain paradigm shifts and disruptions whether in the form of new technologies or business processes. This we set out to achieve by bringing together speakers and attendees that engaged in the practice of different aspects of publishing. Among those who attended this time were publishers (of books both in English and Indian languages), authors (both published and self-publishing), digital content and e-reader developers, book marketers and retailers,columnists, service providers such as editors, translators and literary agents,graphic book developers and illustrators, print experts, magazine editors, members of various bodies such as NCAER, even investors. That such a diverse group of people should be interested is perhaps because we chose topics that would appeal to different sections of the publishing sector. Among the panel discussions and workshops that generated the most passionate discussions were those on academic publishing, Indian language publishing, the preservation of oral traditions and book distribution issues. That said, the other panel discussions and workshops generated no less heat. Given the parallel track of events, one constant refrain was the inability of many to choose which session to attend. Even the insight talks, introduced for the first time, got a lot of attention and were very well received. From the discussion, it seems like many issues affecting publishing are perennial in nature. Distribution remains one of them, so does the inability of the tech community to address the concerns of the publisher. The publishing community, in turn, are no longer awed or intimidated by the “spectre” of e-books, they realise that e-books are here to stay and will co-exist with printed books. But they, the publishers, have genuine concerns and get few answers. We are happy with the way the conference turned out – that the discussions were intense and thought-provoking and that the conversations will perhaps continue long after the conference concluded. We do hope that those affected will continue to search for answers, many of which have been hard to find. We have many people to thank for making Publishing Next ’12 happen. Firstly, Carlos Fernandes, the curator of the Krishnadas Shama State Central Library who encouraged us to have the conference in its magnificent building and who offered the delegates a guided tour of the library, Similarly, we would like to thank Sunil Patki, Sunitha Prasad, Gautam John and Anjum Hasan who helped us assemble a formidable list of speakers, And, of course, our advisory team consisting of Jaya Bhattacharji Rose, Vinutha Mallya, K. Satyanarayan, Rubin D’Cruz and James Bridle who have always championed our cause. We have also Caravan, Fountain Ink, PrintWeek India, yourstory.in, Not Just Publishing, Indian Printer and Publisher, Biblio, FICCI, Contemporary Literary Review of India, Book Link and booksnewsindia.wordpress.com to thank for helping us spread the word about the conference. And NBT and the Directorate of Art and Culture, Government of Goa who have encouraged us to go the distance. And, lest I forget, the speakers who so graciously accepted our invitation and the other attendees who thought this was a conference worth attending. Everyone at CinnamonTeal spent sleepless nights ensuring that all went well. So did the students of Xavier’s College, Mapusa, who ensured a smooth conference. We thank them all! I learned much and met with several interesting people. It was well organized and very useful. We had a great interaction with publishers during the our workshop at publishing next. The conference surpassed my expectations. I met many interesting people – some of whom I am most likely to do business going forward. There was a lot of diversity and a lot of new insights. 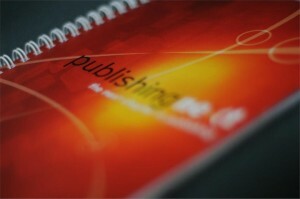 Even though I am not really a publisher, I learnt many things and I am grateful for the opportunity to be part of it. I do hope the initiative continues. That was the most engaging publishing conference I ever attended. It was a great mixture of the practical and the intellectually stimulating, and I learnt a great deal as I’m sure did everyone. You have created a great space for some of the most interesting publishing projects in the country to get together and I think we all really appreciate it. I must say that the conference was very well organized. I think the conference was great in the well thought out sessions, the interesting people and the right amount of laid-backness and informality. I heard some inspiring speakers and met some people I would like to get to know better. And feel suitably inspired about my own work.